Born Mar. 29, 1826, in Giessen; died Aug. 7, 1900, in Berlin. A prominent figure in the German democratic and labor movement, a disciple and comrade of K. Marx and F. Engels. One of the founders and leaders of the German Social Democratic Party. The son of an official. Liebknecht was educated in the universities of Berlin, Giessen, and Marburg. He was active in the Revolution of 1848–49 in Germany. After the revolution was defeated he emigrated first to Switzerland and then to Great Britain. 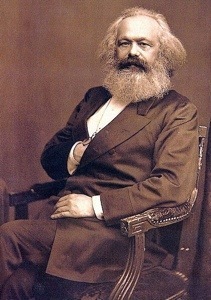 During his emigration he became acquainted with Marx and Engels. Under their influence he adopted the ideas of scientific communism. In 1850 he joined the Union of Communists. The proclamation of an amnesty permitted Liebknecht to return to Prussia in 1862. He worked as a correspondent for various democratically oriented German and foreign newspapers. He was involved with the General German Workers’ Association and helped form the opposition to Lassallean leadership within the association. Liebknecht was one of the most ardent propagandists of the revolutionary ideas of the First International. He helped attract German workers to its ranks. In April 1865, Liebknecht was expelled from Berlin and traveled to Leipzig in Saxony, where together with A. Bebel he was active in workers’ societies. In January 1868 he was appointed editor of Demokratisches Wochenblatt, which in December 1868 became the newspaper of the Union of German Workers’ Societies. He worked in close contact with Bebel. “Bebel,” wrote V. I. Lenin, “found in Liebknecht just what he wanted—living contact with the great work done by Marx in 1848, contact with the party formed at that time, which, though small, was genuinely proletarian, a living representative of Marxist views and Marxist traditions” (Poln. sobr. soch., 5th ed., vol. 23, p. 365). Counterbalancing the leaders of the Lassalleans, Liebknecht and Bebel criticized the policies of O. Bismarck, who had carried out the unification of Germany by counterrevolutionary means under the aegis of the Prussian Junkers. 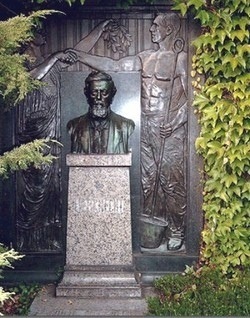 Striving to unify the country on a democratic basis, Liebknecht tolerated certain mistakes (assuming that the creation of an independent workers’ party was premature, he allied with the South German petit bourgeois democrats, who were calling for a policy of federalism). Liebknecht’s democratic illusions were sharply criticized by Marx and Engels, with whom Liebknecht was in constant communication. In 1868 at the Nuremberg Congress of Workers’ Societies, Liebknecht and Bebel broke organizationally with the bourgeois democratic currents and in 1869 founded in Eisenach the Social Democratic Workers’ Party, which was governed by the revolutionary principles of the First International. Liebknecht was the editor of the central party newspaper, Volksstaat, published in Leipzig. Liebknecht was a deputy to the North German Reichstag from 1867 to 1870 and to the German Reichstag beginning in 1874 (with interruptions). Following the instructions of Marx and Engels, Liebknecht skillfully used the parliamentary platform to denounce the reactionary foreign and domestic policies of the Prussian Junkers and to attack militarism. During the Franco-Prussian War of 1870–71, Liebknecht and Bebel, taking an internationalist position, opposed the annexationist plans of the Junkers and bourgeoisie. He passionately propagandized the idea of solidarity with the Paris Commune of 1871. For their opposition to Germany’s annexation of Alsace and East Lorraine, Liebknecht and Bebel were brought to trial in 1872 by Bismarck’s government, accused of “state treason,” and sentenced to two years’ imprisonment. “We congratulate all of you for your speech in court,” Engels wrote to Liebknecht on Apr. 23, 1872, referring to the bold appeal of the accused to the German and international workers’ movement (Marx and Engels, Soch., 2nd ed., vol. 33, p. 378). Liebknecht was instrumental in helping the Eisenachians and Lassalleans come together in 1875. However, in doing this he made considerable concessions to the Lassalleans on questions of principle involving both theory and the party program. The program adopted at the Gotha Social Democratic Unity Congress, which had been principally devised by Liebknecht, was sharply criticized by Marx and Engels. Under the impact of criticism from Marx and Engels, Liebknecht adopted revolutionary positions at decisive moments of the class struggle. During the period when the discriminatory law against socialists was in force (1878–90), Liebknecht was one of the militant leaders of the illegal party. In 1890 he became editor in chief of Vorwärts, the central organ of the Social Democratic Party. He played an active part in disseminating Marxist teachings in Germany. He was repeatedly imprisoned for revolutionary activities. Liebknecht was one of the organizers of the Second International and a participant in its congresses. He actively opposed militarism. This entry was posted in Workers and tagged August, Bebel, Bismarck, Communism, German, Germany, liebknecht, otto, Socialism, soviet, SPD, wilhelm on 07/08/2013 by Anton. This article is from Critical Proletariat, a site which we at the underground hope to be working with in the future. I strongly recommend that you go to the site if you enjoy reading the underground. 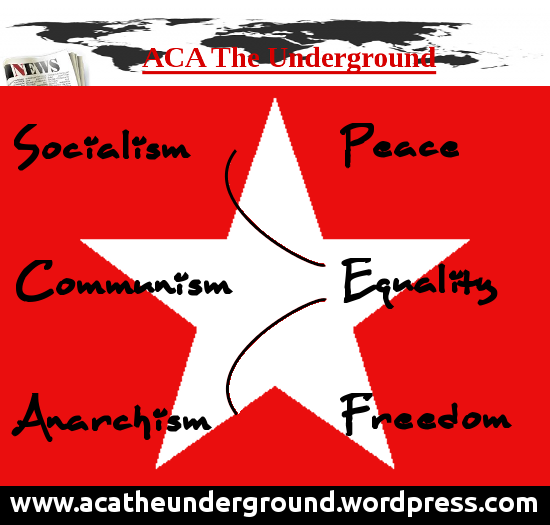 As you already know from my previous posts, I think that combating the criticisms of socialism will be a crucial part of building any anti-capitalist movement in our world today. The opponents of socialism will often criticize its practicality, sometimes even branding it as utopian. What these people don’t understand is that Marxism sits very far away from utopianism, Karl Marx was strongly against utopianism. In many respects, Marx was a realist with a very scientific way of approaching the problems that he diagnosed, however there was one thing that made Marx stand out among other thinkers of the time. Karl Marx was open about his passions in regards to class struggle and socialism, and was always transparent about the fact that his passions would influence his work. The critical thinking applied by Marx went far beyond his critique of capitalism, but became a tool of diagnosis for his own analytic frameworks. If anything, neoliberalism is much more utopian than Marxism ever was, as it relies on the concept of a market equilibrium meeting the social needs of the people. Marx saw that this equilibrium would be unlikely and it almost certainly wouldn’t meet the needs of the majority, as an equilibrium relies of absence of external factors. As we know, our economy is rife with these external factors. Marx saw that within capitalism there are a variety of contradictions, and eventually these contradictions result in crisis. Marxism is more about the critique of capitalism than it is the establishment of a socialist state. That said, his criticisms of capitalism helped create the need for the creation of a socialist movement, and Marx spent a good portion of time in Britain as a journalist trying to raise support for such issues. Marx recognized the concept that people wouldn’t always act in ways that were intended in a certain system, he also understood that not everybody was a complete rational actor. He draws to phenomena such as fetishism to explain the desires and misconceptions that lead people to make decisions that may not be entirely rational on an underlying level. In a market economy, not everything is as it seems. In Marxism, there is this underlying idea that the market is a mechanic used to exploit- but most working people hadn’t recognized this. Aside from fetishism, Marx was also focused (arguably more greatly) on the flaws of the endless desire to accumulate wealth. Infinite growth can’t be supported in a world with a limited amount of resources and so on. Understandably, there are breeds of socialism that encourage a certain flare of utopianism, however for the most part – socialism and Marxism are simply the desires to give the working people more equality and empowerment than the current capitalist system gives them. Personally, I recognize the fact that within the socialist system there will be bad eggs who are corrupt and want to abuse the system – however the socialist cause would be to eliminate these counter-revolutionaries. In the period after the Russian revolution, there was a huge divide among the factions involved – an internal dispute that ended with Joseph Stalin succeeding to General Secretary after Lenin’s death. Stalin then conducted a mass-industrialization of the country and implemented policies that created an entirely new ruling class in Russia. It was a failed revolution, but not a failure of socialism. This entry was posted in critical proletariat and tagged Communism, Lenin, Marx, scientific, Socialism, Stalin, utopian on 10/06/2013 by Anton. Communists should not oppose terrorism on moral grounds, as communism has no place for bourgeois moralism- essentially, the ends justify the means, as long as there is something to justify the end. What matters is whether an action will advance the class interests of the proletariat; we should support strikes, walkouts, struggle in parliament for concessions, the passing of bills and acts that increase the living standards of proletarians, etcetera. So, what we communists must ask ourselves is whether individual terrorism will serve proletarian class interests. The killing of a capitalist, or the shooting of a policeman will not further proletarian class interest, it will do the opposite, in fact- it will be used as an excuse for repression. Only an organised working class can send a representative into parliament to gain concessions from the bourgeoisie and strengthen the political power of the proletariat. However, in order to murder a prominent government member you do not require the backing of an organised working class- anyone can make explosives and acquire a Glock. A strike, even of modest size, has social consequences: strengthening of the workers’ self-confidence, growth of the trade union, and not infrequently even an improvement in productive technology. The murder of a factory owner produces effects of a police nature only, or a change of proprietors devoid of any social significance. Whether a terrorist attempt, even a ‘successful’ one throws the ruling class into confusion depends on the concrete political circumstances. In any case the confusion can only be shortlived; the capitalist state does not base itself on government ministers and cannot be eliminated with them. The classes it serves will always find new people; the mechanism remains intact and continues to function. I quoted Trotski because otherwise I would be simply rewording what he wrote and passing it off as my own. In our eyes, individual terror should be opposed precisely because it belittles the role of the proletariat in its own consciousness, reconciles them to their powerlessness, and turns their eyes and hopes towards a great avenger and liberator who some day will come and accomplish his mission. The anarchists can argue all they want for their ‘propaganda of the deed’, but it is clear that this reduces class consciousness and only serves to stagnate the working class movement. The official or minister will be replaced and life will, once again, return to ‘normality’. The only thing that changes in the capitalist system is that police repression becomes more savage and brutal. Terrorist cells can be crushed, the proletariat cannot- it is needed by the bourgeoise. As I said before: we shouldn’t morally oppose terrorism- we shouldn’t morally oppose anything when we are fighting against a class that is willing to plunge thousands into the hell of war for land or resources, against a system in which 10,000,000 die in each year. The account we have to settle with the capitalists is not one that can be solved through a few assassinations- it can only be solved by smashing their system and state, and oppressing them as they have done to us for such a long time. The difference is the bourgeoisie needs the proletariat, but the proletariat does not need the bourgeoisie- the proletariat would be better off without the bourgeoise. The repression that the proletariat inflicts on the bourgeoise will not similar to what they have inflicted upon us. It will be swift, it will be brutal, and it will only serve to advance proletarian class interests and the abolition of classes. This entry was posted in Uncategorized and tagged Communism, marxism, moralism, morals, Socialism, terror, terrorism, terrorist on 09/06/2013 by Anton. I will be making extensive use of Lenin’s work ‘The State and Revolution’, as it is one of the best works concerning the nature of the state. To all libertarians, right or left wing, the state is an evil, as it is authority. What’s more, it is not just authority: it is the supreme authority. The state has ‘special bodies of armed men’ (as Lenin put it) at its disposal, to enforce obedience. The state, above all else, limits liberty, so it must be abolished once and for all, in one fell swoop. In this text, I hope to explain what the state is, and what socialists must do following the socialist revolution. This text is also an attack against all of the ideologies that claim to be libertarian, and to expose them as idealistic. The state is a tool of the ruling class to oppress the other classes. In capitalism, there are two main classes: the proletariat and the bourgeoisie (well, there is the petit bourgeoisie, but they’re irrelevant and their numbers are shrinking). The bourgeoisie uses the state and it’s instruments (police, army, etcetera) to oppress and exploit the proletariat; the bourgeoisie is the ruling class, the proletariat is the exploited class. The interests of the supra classes conflict- the bourgeoisie wants to exploit the proletariat as much as possible, whereas the proletariat’s interests are to seize the means of production for itself, abolish the bourgeois state and become the ruling class, thus ending it’s exploitation. “A standing army and police are the chief instruments of state power.” (Lenin). Anarcho-capitalists advocate the abolishment of the state, but insist on keeping capitalism (try to suppress your laughter!). The state no longer exists, people get to keep what they earn and no person has to pay taxes ever again! It’s a capitalists dream! If this is the best form of capitalism, why have the capitlaists not abolished the state and built up monopolies? Imagine the aforementioned situation of there being no state, but capitalism still thrives. Say there arises the situation where international trade is wanted. Quickly they discover that a group is needed which will represents the national trade-interrests and will ensure a trade-advantage for it’s members. Libertarians will say that there is nothing wrong with that. Still, it is the first step towards a new state! The trade-organisation won’t work for free in a capitalist world and so they will begin to demand pay. Contribution will be asked with it’s members, what will mean that non-members will receive no benefit. We then stand at a situation where benefitted collegue’s are providing unfair competition. Again, Libertarians will argue that it is not unfair and that traders and entrepeneurs are free to join the organisation. So, the non-members are more or less forced to become a member, if they want to stay in business. Once a member, they too will have to pay contribution-fee’s, which will rise and rise because it is cheaper to represent a smaller group, than it is representing a larger group. The represeting organisation will have to grow to be able to cope with the ever growing expectations of it’s members. Then we arive at the inevitable point where the members discover that not only they, but also the civilians benefit of the organisations actions. Now two things can happen, since the members will want to get back the costs of the contributions through the civilians. They will they raise prices (an obscure version of taxes), or they all will decide to directly charge the civilians. In other words, taxes. And so we arive at the current situation where all civilians and traders/entrepeneurs are forced to pay a representing group. What has actually changed? Terminology. “Taxes” becomes “contribution” and “the state” becomes “the representation” or “the organisation”. So Libertarian ideas revolving around their version of a free market are a paradoxal idea and will never work. Now that we have exposed right wing libertarianism as the moronic ‘theory’ that it is, we shall move onto left wing libertarianism (or anarchism). The anarchists propose the State’s immediate abolishment, overnight; we Marxists counter propose that such idealism is pragmatically impossible, because the proletariat would need to crush the bourgeois resistance through a mechanism, and that is the state. Only a fool would say that the bourgeosie would not try to regain its power, and only a fool would say that we do not need an army to defeat the reaction! Anarchists present Makhno and his peasant army as a shining example of how anarchism can defeat the counter revolution, but upon analysing Makhno’s anarchism falls apart. Makhno’s army was a tool to oppress the bourgeoisie, was it not? And the councils set up under Makhno served the peasantry, a class, in it’s conquest against the bourgeoisie! I say that this constitutes a state, and also that Makhno is a reactionary. Why? Makhno’s army was not made up of proletarians and oppressed peasants like the red army was- Makhno’s army was made up of Kulaks, who owned horses and had been exploiting peasants for centuries! Upon analysis, Makhno is revealed to be a petit bourgeois nationalist. Were the State immediately abolished, without the “conditions leading to the arising of the State” being abolished as well, a new State would appear, and the socialist revolution would have been for naught. In the event of a socialist revolution the proletariat through the dictatorship of the proletariat must establish a proletarian State (per the 1871 Paris Commune model), then suppress the dissenting bourgeoisie. The proletariat must use the state ruthlessly to suppress the reaction, crushing all dissent towards the new rule of the proletariat. For the proletariat, this state will be one of democracy. Soviets and workers councils will take the places of parliament and bosses- i.e. the proletariat will have total political and economical control. For the bourgeoisie this new state must be one of terror, which they live in fear in of, it must be the most brutal state to have ever existed. The proletariat must create bodies of armed men for the sole purpose of expropriating and crushing the bourgeoise, until they are no longer a class, that is to say, there are no more bourgeois. In achieving the withering away of the State as its institutions begin to “lose their political character”. Once the proletariat has no bourgeois left to oppress, the state becomes a burden, and the proletariat abolishes itself as a class, thus propelling humanity into communism, ending the class antagonisms and the state, giving people complete liberty and equality to live how one wants. Edit: To be frank, this is poor. There are some parts where I should have written a lot more, and other parts where I resorted to straw men. I plan to update it later. This entry was posted in Uncategorized and tagged Communism, Engels, Lenin, Marx, marxism, proletariat, revolution, Russia, Socialism, state on 30/05/2013 by Anton. There are some ‘leftists’ that proclaim support for Al-Assad, claiming that he is better than the Islamic extremists that appear to dominate the rebels. These extremists, in reality, actually make up a minority among the rebels. Assad supporters like to act as if the rebels are a homogenous mass, all with the same views, reasons for fighting, etcetera, but this is no where near the truth. Yes, US aid mainly focuses on the Islamists, which will come back to haunt them- history repeats itself, this is a similar situation to arming the mujahideen to fight the soviets. Also, the non-lethal aid line that te west are taking is a sham. When you have an armoured vehicle, a Saudi arms dealer and a couple of screws later and you already have a massive advantage compared to Assads cannon fodder. These people are fighting against Assad’s dictatorship, for their freedom from tyranny, but it will most likely end up as swapping Assad for the US, and becoming another US puppet state, similar to what happened in operation Ajax in Iran. The only way for these people to truly set themselves on the road to freedom is socialism. At this current point, the rebels want to swap a bourgeois dictator for a dictatorship of the bourgeoisie; the proletariat must take power and rule for itself, brutally crushing all Islamic, capitalist and other reactionaries. This is what I am hoping for worldwide, but it seems unlikely to even take root in one country for the foreseeable future. This entry was posted in Syria and tagged assad, current-events, news, politics, rebels, Socialism, Syria on 20/05/2013 by Anton. France is back in a recession, the second time in 4 years as Socialist Party leader and President Francois Hollande comes under further criticism. The capitalists would have you believe that a successful country is not one with the best/highest standards of living but one with the highest GDP. It is under such a guise that Socialism is deemed a failure. Pseudo-Socialist parties and leaders don’t help the cause by going along with capitalism under a red banner, making the left look like failures. This is the problem in France, they have a quasi Socialist government integrated into a capitalist Europe and European Union. France implements policies that try to improve conditions for the working class and make a fairer society and as a result ‘business confidence’ takes a big knock, the economy stumbles and the electorate think the ruling party are useless and vote them out only to return the previous lot of incompetent politicians. So the never-ending cycle continues. Well that depends if you want the short-term or the long-term answer. In the short term, stick with Hollande and the Socialists and screw ‘business confidence’. Maybe if we ignore the markets, they’ll go away! In the long term capitalism must come to an end for real positive change to take place and it can’t be restricted to one country, stick with the European Union and together a socialist Europe will lead to real, genuine prosperity. 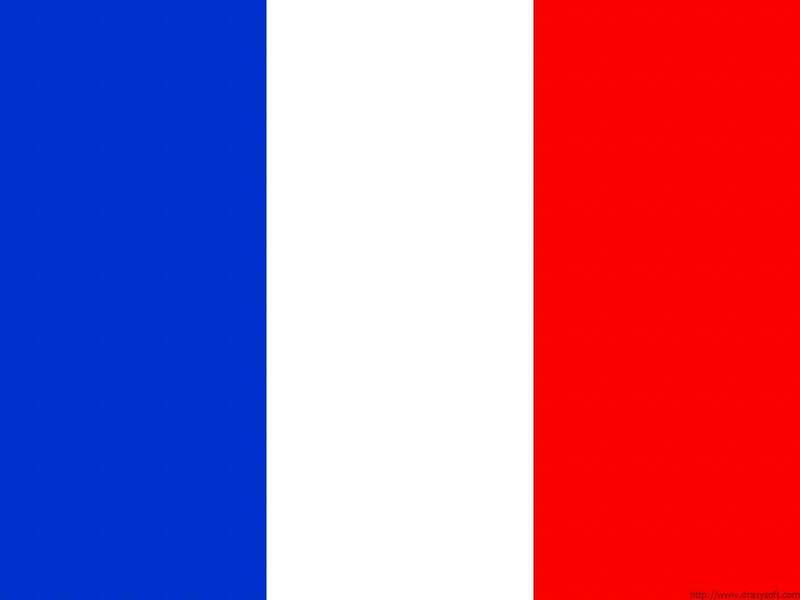 This entry was posted in Daily headlines, Economy/Finance, France and tagged Capitalism, Europe, European Union, France, Francois Hollande, GDP, genuine prosperity, incompetent politicians, Parti socialiste, politics, President Hollande, recession, Socialism, socialist europe, Socialist Party on 15/05/2013 by Leon J Williams.